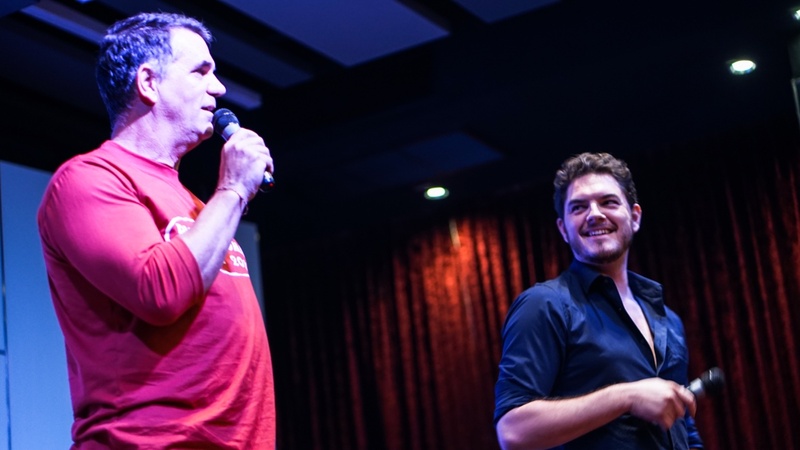 Last month Johnny Jen and I co-hosted an amazing conference here in Chiang Mai, Thailand, with a high-caliber lineup of 10 diverse business speakers and about 250 eager attendees. I’d been on a fairly large planning committee for Thailand’s first TEDx conference back in 2010, but this was the first large-scale event I’ve hosted and planned so closely. It was the first time I’ve attempted to create an experience of this scale from scratch (i.e., without a name brand like TED behind it). 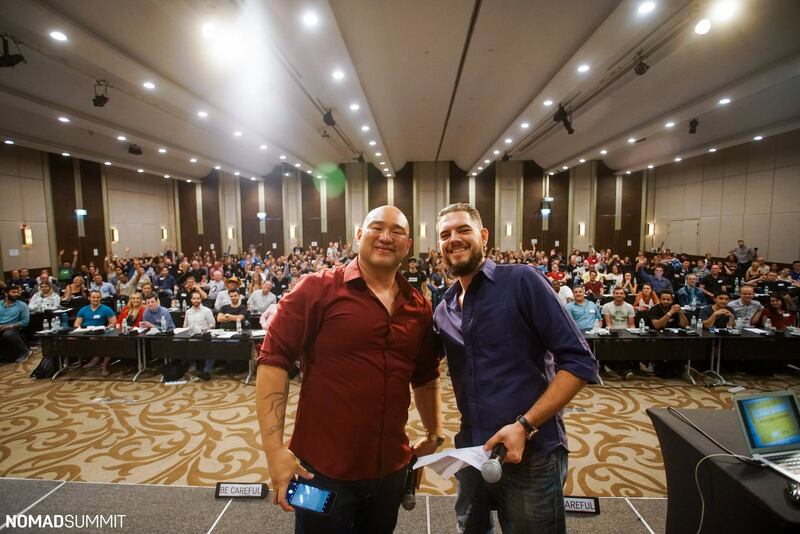 A month beforehand, I had no idea I was going to organize a conference for hundreds of people in Thailand of all places! 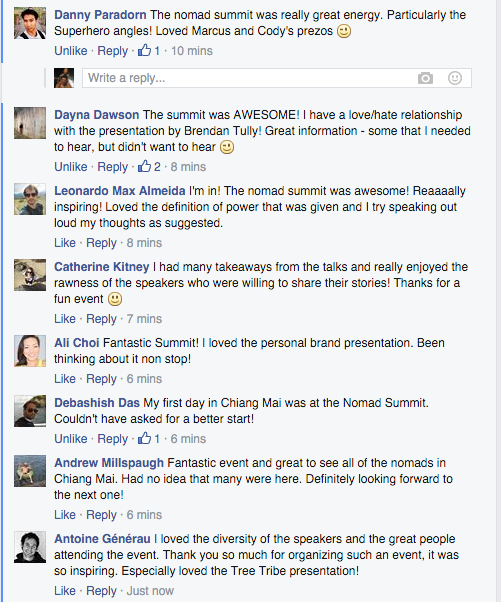 But the Nomad Summit soon became a force of nature, we sold out of tickets and had people begging us for more within 10 days of listing the event on Facebook! 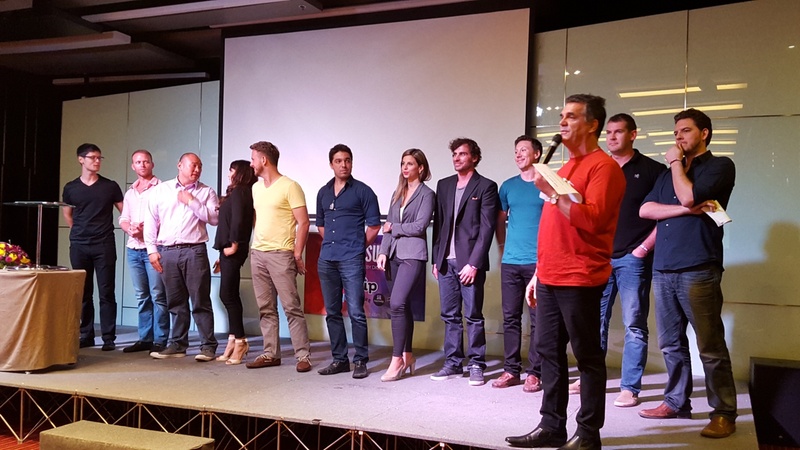 Ian Robinson made this great recap highlighting all of the speakers as well as the attendees of the event! It all started in early January sometime when I met with Johnny to begin planning. We opened ticket sales on January 25th, and 10 days later we sold out, filled beyond capacity. 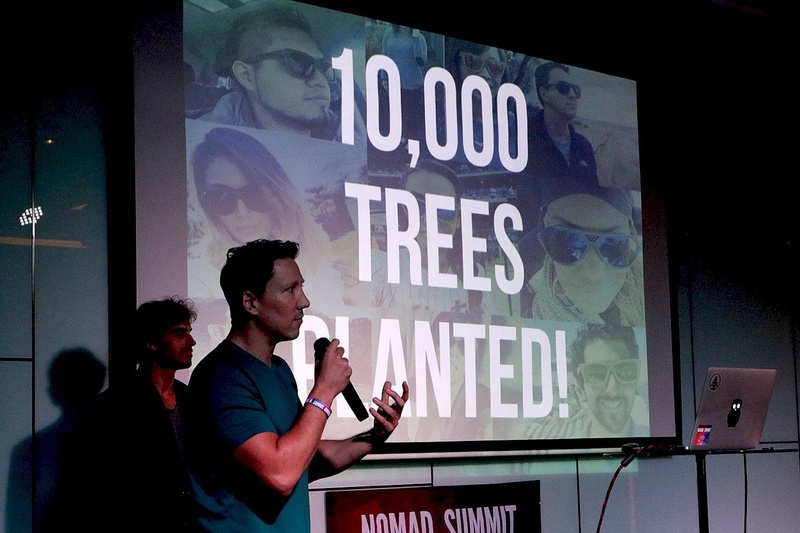 In fact, there fast grew a secondary market for Nomad Summit tickets — as more and more people were wanting to get in, and as a few folks were unable to travel to Chiang Mai (yes, people flew here to Thailand from far and wide! ), or just couldn’t make it at the last minute! It was an overwhelming success actually. We relied heavily on the strong brand reputation I’d built up at Digital Nomad Academy since 2011, and as I knew from the start — Johnny’s strong network paired with mine and we had an amazing reach, and lots of great people on board to lend a helping hand. I made it my job to seek amazing speakers and sponsors from among my circle of friends and colleagues, as well as doing outreach to corporate sponsors who had backed other similar events — and in the end we gathered a truly impressive roster of 10 accomplished speakers, and four great companies who see the potential in events like this and serve our target audience (in this case, the business travel crowd, and entrepreneurs living in Asia as expats). With a little persistence and the courage to ask people for their help, all the pieces came together, and we were able to get the largest event space at the Ibis Styles hotel, beverage service and staff. I flew in some of the best film crew I know to help us capture and create top-notch, professional video presentations for everyone to enjoy afterward. 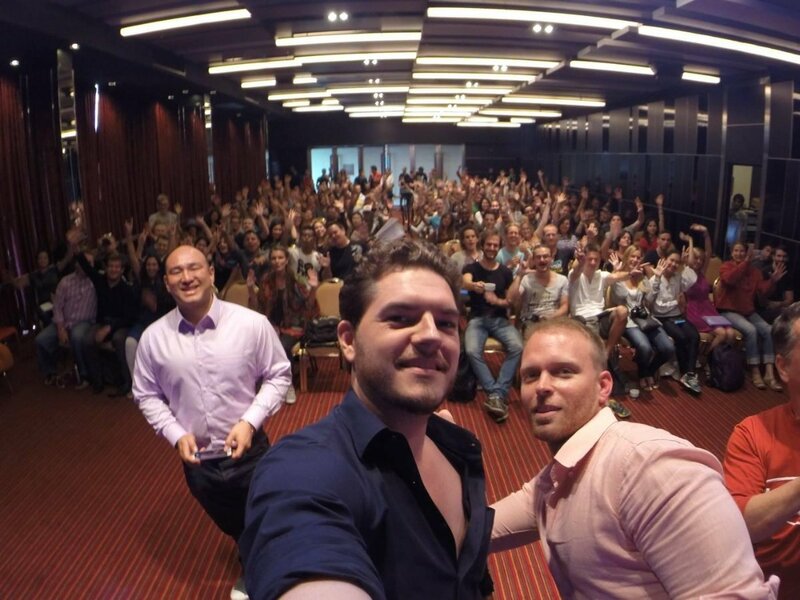 Taylor West – Personal Brand Building: Liar. Cheat. Thief. Nomad. Joe Lannen & Dylan Basile – Tree Tribe – Social Enterprise: Giving Back is Awesome! I’d spoken on stage at before a large audience three times in the past, but this was the first time I really felt great about it. I felt like I really had something valuable to share, and like I truly impacted people. So how did we pull it off? 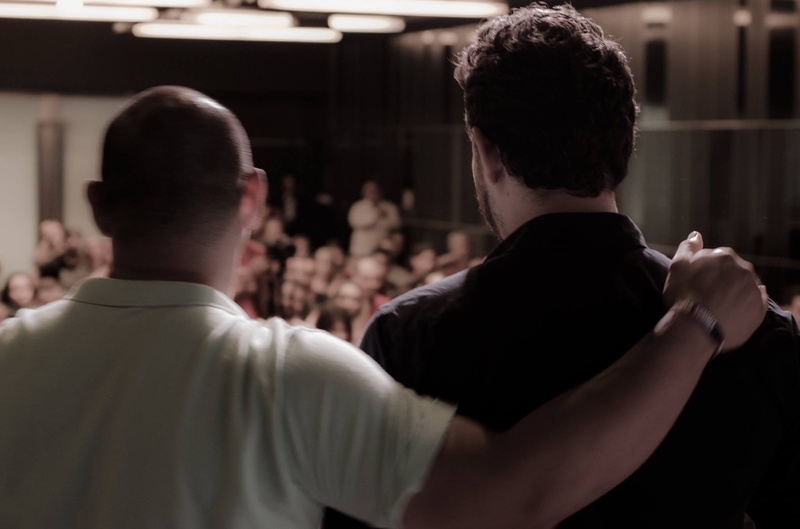 When I first spoke one-on-one with Johnny, after talking with him, I learned that he’d launched and successfully run the conference the year prior within a very short time, and I learned that they’d been able to pull in Buffer as the event sponsor on short notice too! But I saw plenty of potential to do much more with it. I could tell from the videos that the first event was held in a small space, with low ceilings, and only limited space for about 140 or so people. I thought, if Buffer was willing to get on board with an unproven, unestablished new event on short notice, then surely this time around we could get more companies involved to sponsor the event, and make it bigger and better. I saw room to grow and improve, and with our powers combined, Johnny and I did just that. Depending what your industry or niche is, do your best to find a location that’s central to that demographic. Chiang Mai is kind of like the Shangri La for Digital Nomads — over the last 5 or 6 years I’ve watched as the travel bloggers moved in and hyped it, then the lifestyle designer crowd, and now it gets talked about all the time in our circles of nomadic friends. There’s a growing and healthy expat population here, and at least several hundred of them consider themselves nomadic or are working on their online businesses — in other words, it’s become nomad central. 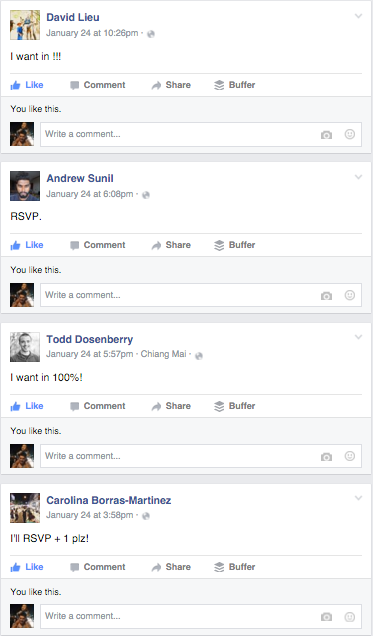 So when we put out our feelers on Facebook to test the idea (before we had booked an event space or any speakers!) 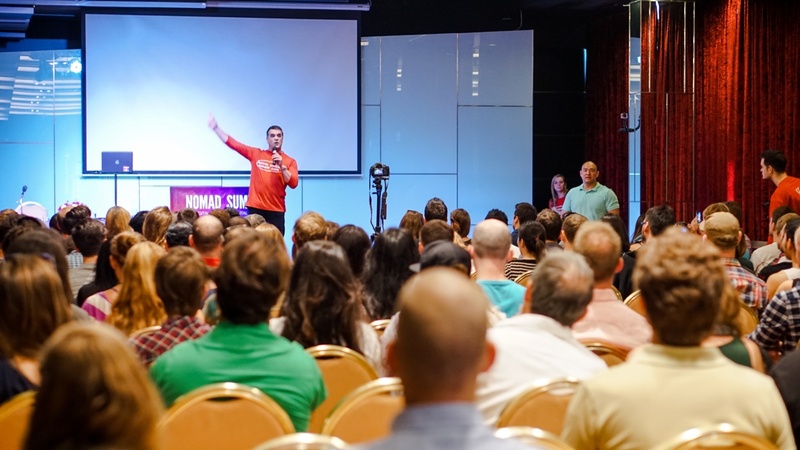 all it took was a compelling event description, both Johnny and I invited a small group of our personal friends in Chiang Mai, Thailand, and I believe we posted it once in a local nomad Facebook group. And the thing went gangbusters. Perhaps the way we slowly dripped out clues helped pique people’s curiosity, but with all the excitement and people hungrily looking for tickets, even though we invited probably less than 400 people individually, the Facebook event reached 33,000! In the past, I’ve definitely been guilty (time and again) of trying to do everything all by myself… but especially when it comes to events, that can be a recipe for overwhelm and under-delivering. Events are social occasions, and as such, the planning and execution should be a social, shared activity too. Any gathering of such large scale will require a team of staff, volunteers, and logistical partners to make it a reality. So a willingness to collaborate with a partner or two will not only drastically cut down on the amount of effort you’ll need to put in to manage all the moving parts, but if done right, it will also hopefully allow you to focus more on what you’re best at, meaning everyone involved can produce better results. It also means you have quantifiably better ideas, and you multiply your reach and abilities with your networks combined. Thankfully Johnny made my job really straightforward and simple, and he took responsibility for a lot of the tasks I wouldn’t have been overly interested in. As much as I love running a business remotely from my laptop, there is definitely a LOT to be said for the value of working with people in real life, and looking your partner in the eye! Never undervalue face-to-face contact when you’re getting to know a new collaborator and decide whether it’s best to partner up, and what your vision for the project is. I’ve been fortunate to know Johnny socially for a while, but this was a chance for us to really start to get to know each other, and I’m thankful we had the opportunity to meet up in person a few times as we planned our event. I think it had a measurable impact on how well we were able to communicate with each other, and understand each other’s desired outcomes for the event. I’ve tried to organize events with partners remotely in the past, and while it’s not impossible, it does tend to be exponentially more difficult. This is the case with any project, but for our purposes with the Nomad Summit, we used Google Docs for spreadsheets and documents in the cloud and shared folders with our whole team, we used a shared Google+ brand account and YouTube channel to showcase our videos, Dropbox (mostly for photos gathered from numerous volunteers, attendees, and our professional crew), Slideshare for uploading all our speaker’s slide presentations afterward, and Eventbrite for ticket management and for accepting sponsor payments. If you do need to communicate remotely with your team/partners, I recommend Google Hangouts for the best overall connectivity, and ScheduleOnce for setting appointment times across timezones. The Summit was started as a not-for-profit event, and we wanted to keep that spirit the second time around. 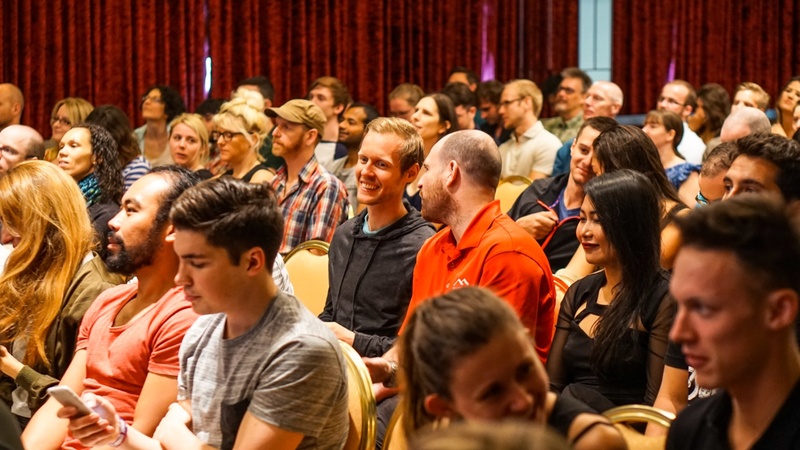 My vision was to bring in more corporate sponsors this year to cover as much of the costs as possible, so we could offer an amazing free/low-cost event that rivals some of the other conferences out there that you’d easily pay $300–$500 and up to attend. So we started by offering 100 free tickets through the Facebook event page, which had the side effect of helping kickstart a bit of viral sharing. Then we encouraged donations (starting from about $6 USD up to $25) so we could upgrade our space to a much larger seminar room to accommodate twice the people. Thankfully because we offered a lot of value up front and maybe established some good will with free tickets, and because of the reputation Nomad Summit had already built in its first year, people were more than generous in return when we asked for assistance to scale up the event 2x. A fair number of people even commented that they wanted to pay us more money! Just like you can double the possibilities with two partners, you can also bring in other skills, resources, contacts, perspectives, and capabilities just by bringing in the right strategic collaborators — whether they’re speakers, sponsors, crew, or even volunteers, your job should be to find other people who have a vested interest in your vision, and ideally those individuals who also bring their own connections to the table. That’s why I immediately made it my job to start cold emailing people who I thought would be excited to be a part of something like this, to help fund it, or support us in any way possible. Find win-win-wins and know how to frame things to create the perception of value for others. Some people said no, and that’s fine, just find people who would benefit from being able to add this to their resume. A few of those early supporters for example were Brendan Tully, and Ozzi Jarvinen at Iglu. 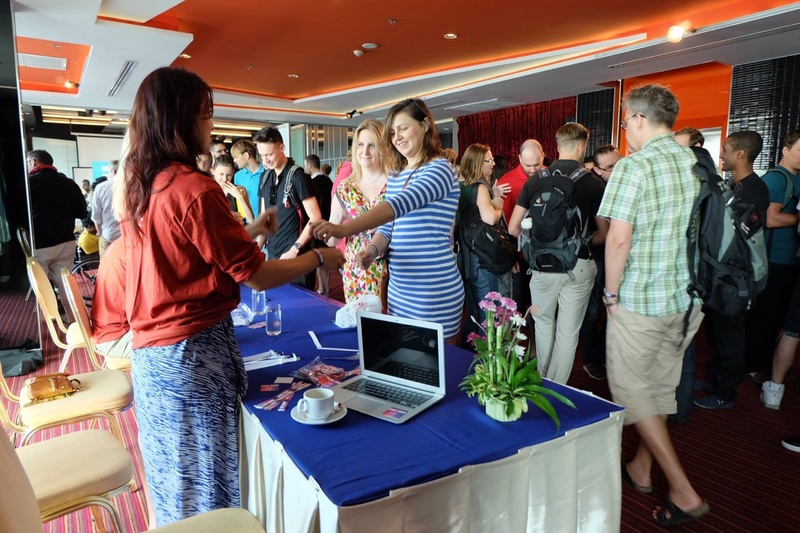 Once I was able to say we had BT from The Search Engine Shop on board as a speaker, and Iglu (a great business services company based here in Thailand) on board as a significant sponsor, then others were more eager to get involved too! So, special thanks to you guys. 8. Write a solid sponsor proposal document! Early on I knew that having a couple significant corporate partners would multiply the possibilities for what kind of experience we could create for people. It’s essential to get as creative as you can about what value you can provide to your sponsors (thankfully with two popular blogs, Johnny and I had some good leverage). And it’s wise to pitch companies specifically for how they would benefit from reaching whatever demographic you’re planning on pulling together. DRIP – Drip is the email marketing software trusted by Dan and Ian from the Tropical MBA, James Clear, Dan Norris, Brennan Dunn, and many, many more. If you’ve ever used MailChimp, Drip is more powerful than MailChimp, similar to Infusionsoft – but much cheaper and easier to use. Empire Flippers – THE go-to marketplace if you’re interested in flipping/buying/selling websites, or if you’re interested to sell your own website or online business! We’ve personally met nomads who sold their businesses on Empire Flippers for $10k, $20k, and even $30,000+ dollars that they started right here in Chiang Mai! Great service! Iglu – If you are looking for an easy, legal method to go legit here in Thailand — get your business visa, work permit, a great coworking space, help with accommodation, bank accounts, transportation, etc. Or even if you’re looking to relocate your startup or set up a business here in Thailand, Iglu are the guys to talk to! 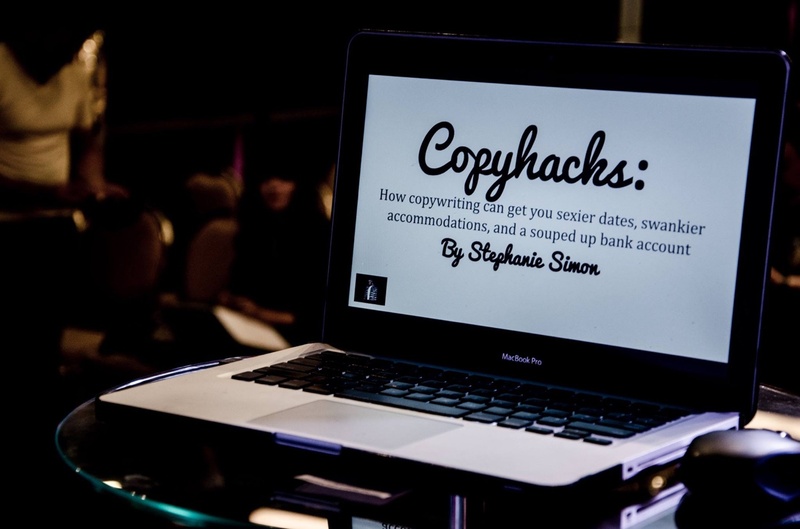 Coworkation – Inspiring people in inspiring places doing inspiring things. A coworkation is a pop-up coworking space in exotic locations such as Bali, Croatia, Costa Rica or Thailand where your workspace is not confined to an office desk. Work from stunning villas beside infinity pools overlooking the jungle, below waterfalls, lakeside, swim-up bars…or other incredible locations! Nothing would have been possible without these guys! Thank you to Rob Walling, Justin Cooke, Joseph Magnotti, Ozzi Jarvinen, Stuart Jones, and more! 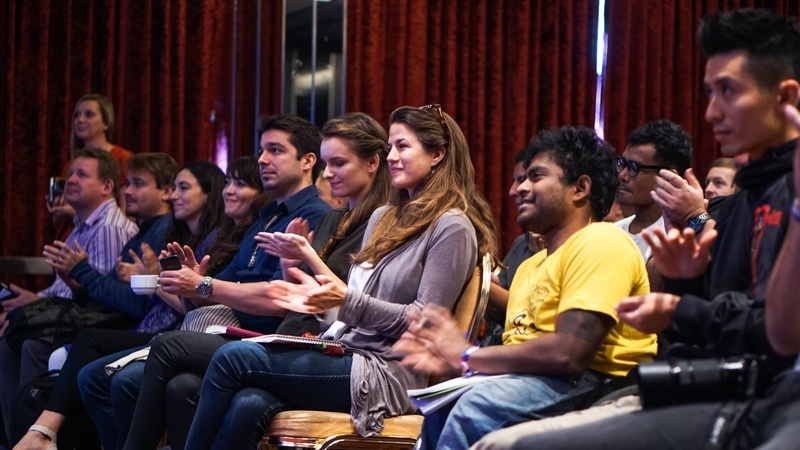 Of course at the heart of every good conference are great talks by compelling people. 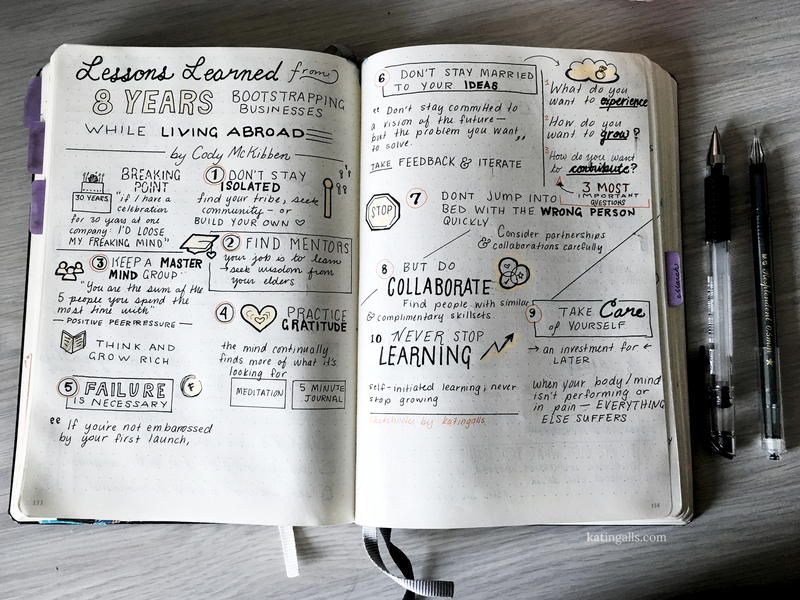 We were very fortunate to get several top-notch individuals involved who all provided tremendous value by sharing their experiences, their insights, tips and tricks. And of course, as co-hosts of the event, Johnny and I both wanted to present our own perspectives as well. So I spent a significant amount of time digging deep for the best wisdom I felt I had to offer this particular audience, and crafting a presentation that I believed would best convey my most valuable ideas. Plus, I tried to go well above and beyond in packaging something that would be engaging, a little funny, and full of useful related tools and resources. 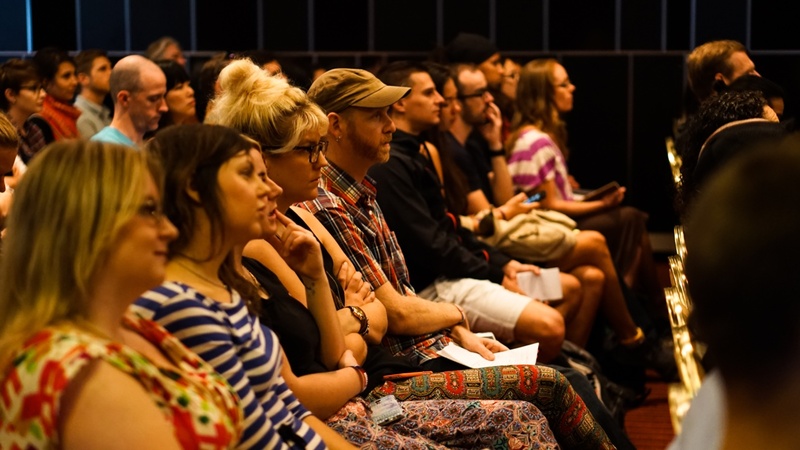 This is really the key to a successful conference: stories worth sharing. 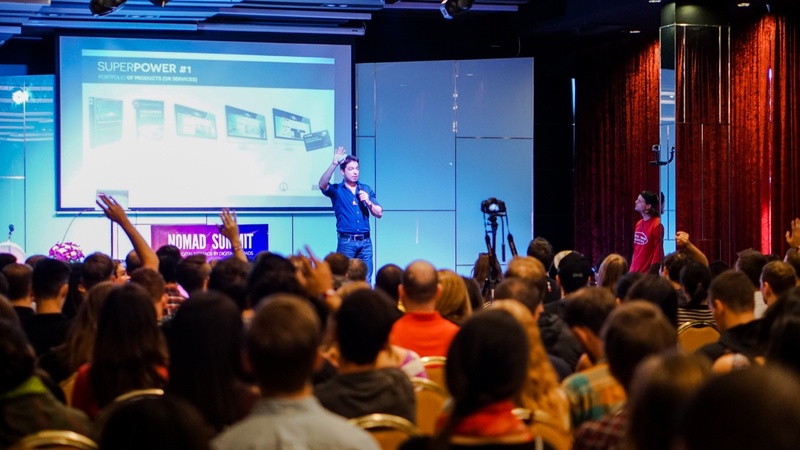 If you want to see our presentations from Nomad Summit 2016, keep reading below. – with bonuses, juicy insider knowledge, humor, special deals, free offers… anything useful and unexpected. Attendees got to see some behind-the-scenes insights into a $100 million dollar business, for example, they got a few laughs from strategically-placed comic relief, they got to watch a world-premier trailer for an upcoming digital nomad documentary featuring Tim Ferriss and Matt Mullenweg (creator of WordPress), and we thankfully had amazing special offers available ONLY to attendees — for great email marketing software, website brokering, coworking/co-living, online training and more. Whatever you promise to your partners, speakers, hired staff, volunteers, sponsors, and your customers/attendees, deliver on it to the best of your ability. As in any sustainable business, you don’t just want to concentrate on what you can get from people now, but you ideally want to build good relationships for the future. This is an ongoing commitment, but for me that means trying to give our speakers and sponsors every grain of value possible out of their participation, and making it easy for them to share and take credit for their contributions. Thankfully I got tons of in-person feedback from listeners who approached me after the event. But I also wanted to encourage people to leave their testimonials (that we might be able to use for future events) and their critical feedback about how we might be able to improve as well. We managed to negotiate some free coworking passes from Punspace and AngkorHub fortunately, so I got creative and decided to use them to incentivize people to share! Since we were successful in bringing on several sponsors, we were able to hire great photographers, which was one of my top priorities for this event (if you need a stellar professional videographer, I highly recommend Cadu Cassau and his amazing team, who took most of the professional shots included above, as well as produced all of our videos this year). 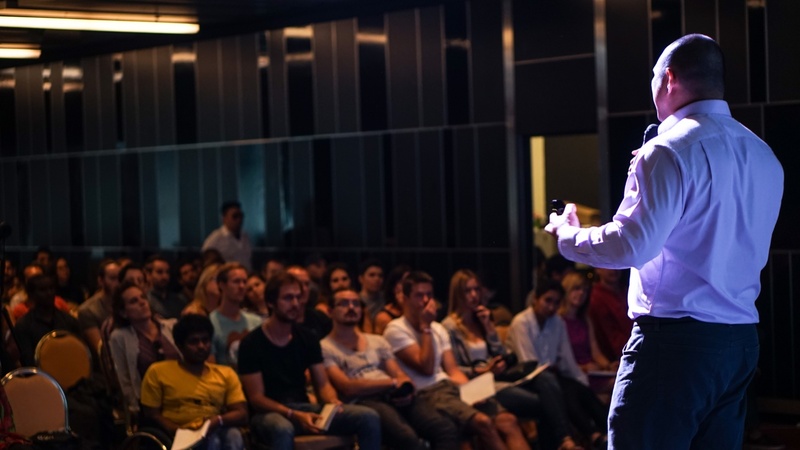 Invest in a professional photo/film team and you’ll have top-notch speaker videos to share afterward and photography you can use to showcase your event. 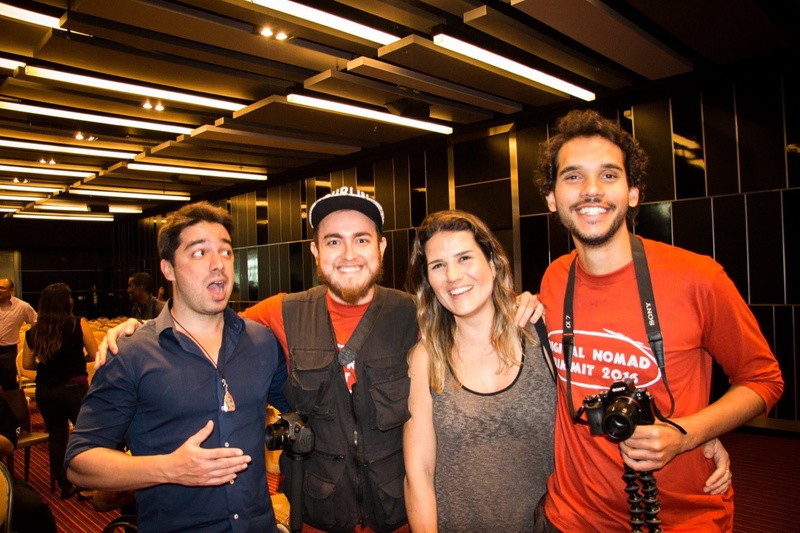 Also encourage your attendees to use your event’s own special hashtag (like #nomadsummit) and be creative in your use of social media content created by conference-goers themselves, like I have in this post. 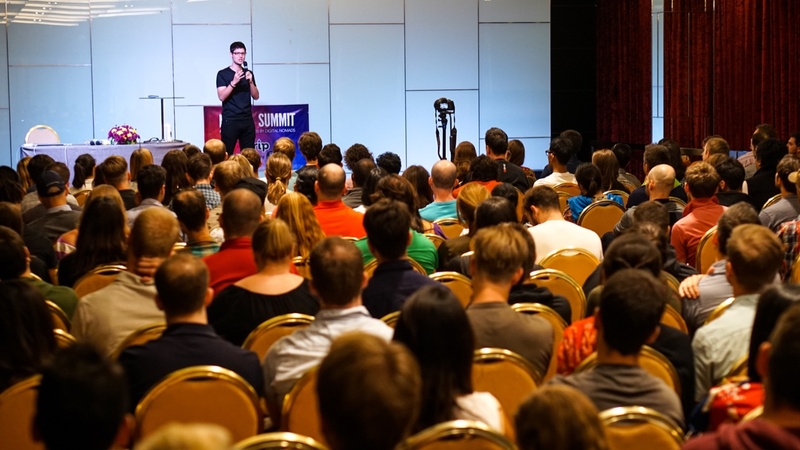 Want to Watch the 10 Expert Speaker Presentations from the 2016 annual Summit? If you want to watch my presentation, click here. Some photos courtesy of Stefanie Oeffner, Nick Martin, Bruno Eiroz, L Lee Horton, Cadu Cassau, and Jon Wilkinson. Thanks to Ian Robinson for your great video. Many thanks to all our fabulous speakers, our emcee Petter Miller, to our volunteers Veronica D’ Robzario, Brad Wages, Alicia Orre, and Angharad Owen, and to the many of you who attended the event!